The Caribbean has a rich boatbuilding heritage, one that has unfortunately fallen prey to the laws of economics in modern times. The small fishing village of Windward, on the Grenadine island of Carriacou, is one of the last remaining places in the Lesser Antilles where one can still hear the thud of caulking mallets on wooden hulls. 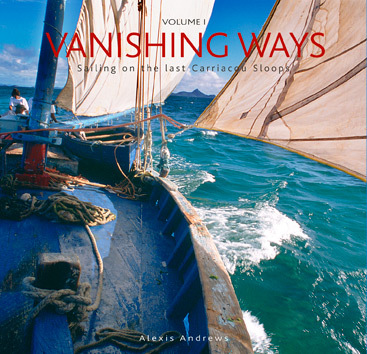 These books are the result of a ten year project by marine photographer Alexis Andrews, who sailed, fished, raced and eventually built a boat with the men of Windward.